Sparkling blue waters. Deep green forests. Breathe in the fresh island air and feel renewed, refreshed, revitalized, relaxed. Welcome to the San Juan Islands! Just a scenic ferry ride from the northwest Washington mainland lies a paradise for the adventurous in spirit. 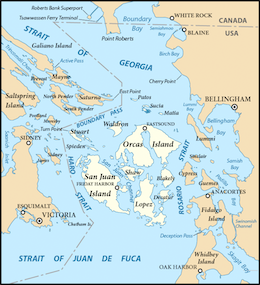 The San Juan Islands are located about 75 miles from Seattle, WA in the northwest corner of the contiguous United States, between the US mainland and Vancouver Island, British Columbia, Canada. There are 172 islands, some little more than rocks, and over 300 miles of shoreline. The Clearing is located in a peaceful atmosphere on a 43-acre estate on San Juan Island. This location was selected because it is both remote and accessible, and provides an ideal place to conduct our healing work. The Clearing is located on a picturesque 43 acre estate on beautiful San Juan Island. Take a tour of our estate here. See examples of the delicious meals we serve at The Clearing. 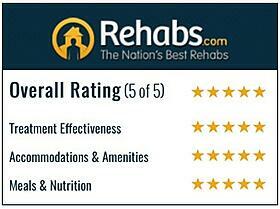 Located 75 miles from Seattle, WA, San Juan Island is the perfect location to undertake transformational change. See more at Pacific Northwest Paradise. Getting to San Juan Island is a memorable trip and can be accomplished in two equally beautiful ways. The ferry ride to San Juan Island is a breathtaking experience; equally stunning is a short flight over from Seattle International Airport. Let our talented and experienced team support you in making your travel arrangements smooth and stress-free. A member of The Clearing's staff is available by phone or text to answer any questions to help you find the best treatment for yourself or your loved one. 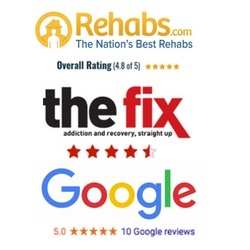 This is by far the finest facility for those troubled with addictions, personal trauma, or emotional problems that are creating a problem moving forward in life. I am a graduate of The Clearing, and they changed my life. The Clearing is life changing. To have the tools in place to heal underlying issues has been the best thing to ever happen to me. The counseling staff, the environment, the safety and comfort of living in the farmhouse, excellent meals, an excellent fellowship of participants, all contributed to the unbelievable results from the program. Very well organized and directed.